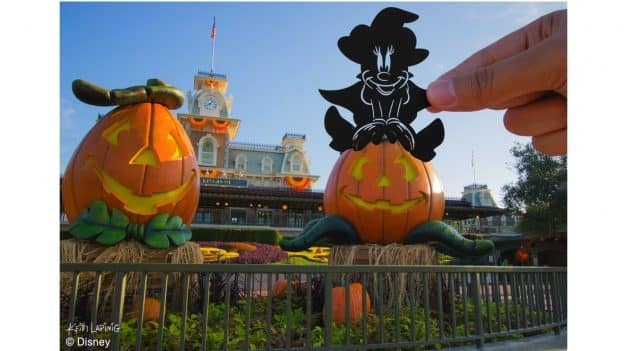 Halloween is nearly upon us and earlier this fall, silhouette artist Keith Lapinig headed out to explore Magic Kingdom Park and Mickey’s Not-So-Scary Halloween Party for a bit of artistic inspiration. 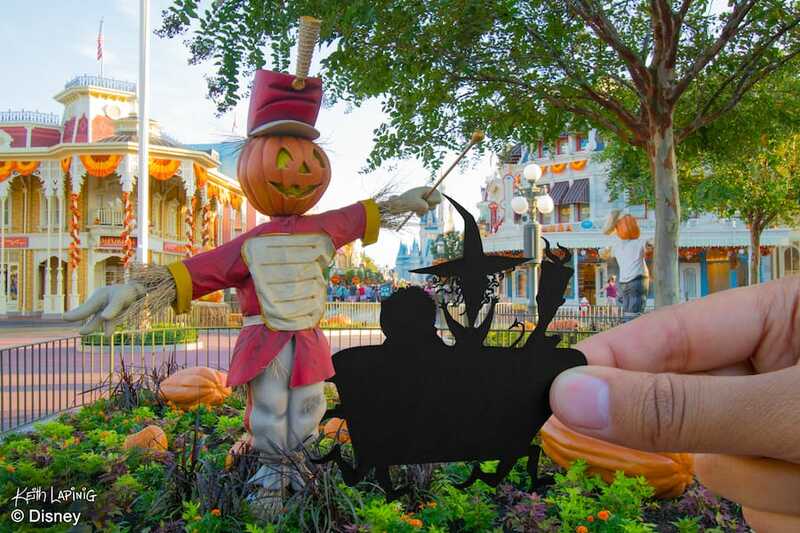 This time of year, the front of the Train Station and Main Street, U.S.A., are brightened with Halloween decor, including fall-themed bunting, wreaths, larger-than-life pumpkins and scarecrows – which all served as terrific backdrops for some of Keith’s creations. 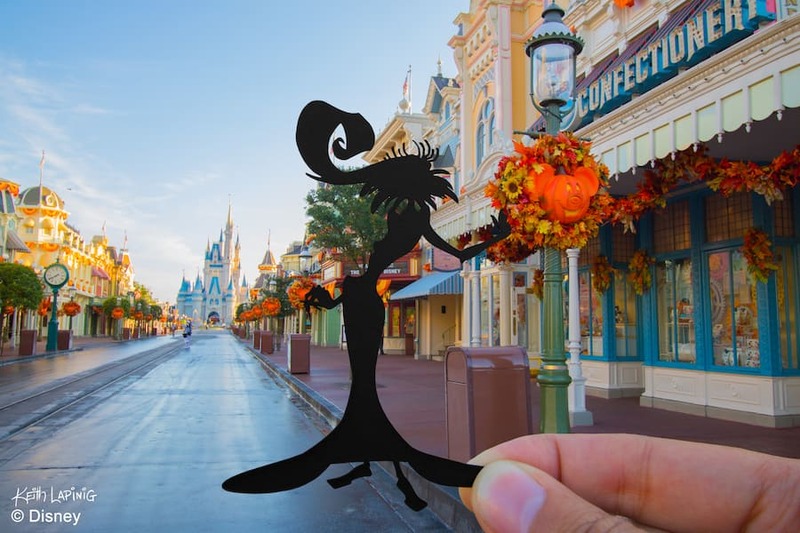 “For Orange Bird, I was inspired by the new Sorcerers of the Magic Kingdom card given out only at Mickey’s Not-So-Scary Halloween Party, so I placed the Orange Bird helping with decorating Main Street for Halloween” Keith said. 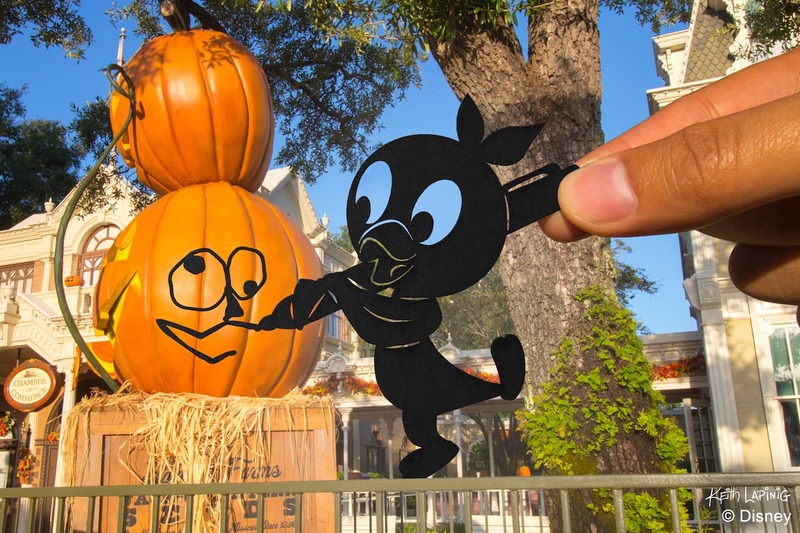 He also placed Minnie Mouse atop a pumpkin at the very front of the park (pictured at the very top), while Lock, Shock and Barrel from Tim Burton’s “The Nightmare Before Christmas” had some fun of their own. Later on down Main Street, U.S.A., Yzma adjusted a fall wreath. 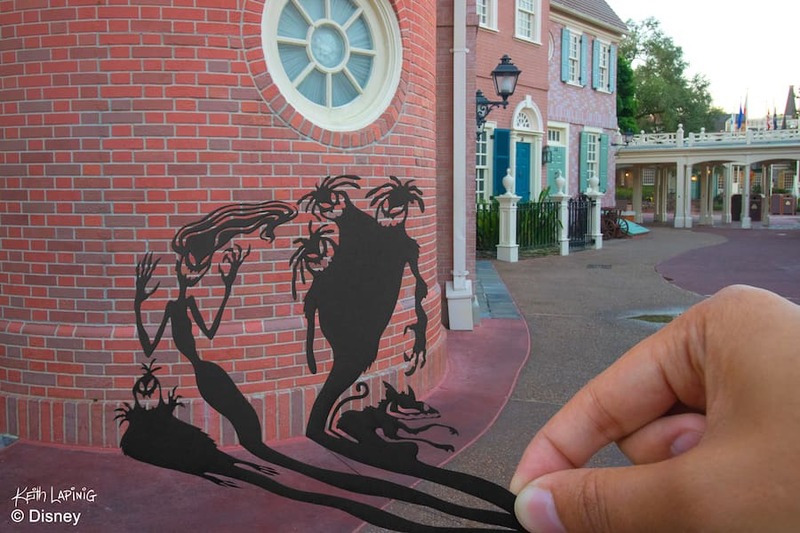 Over in Liberty Square, Keith imagined the Sinister Shadows waiting on the call of their friend, Dr. Facilier. 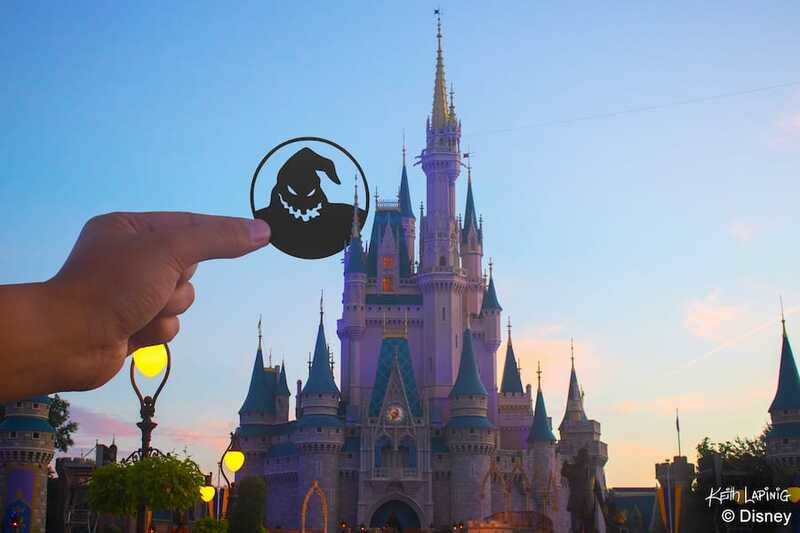 “Oogie Boogie watches over the Magic Kingdom and waits patiently for the sun to set so he may come out and play during Mickey’s Not So Scary Halloween Party,” Keith said. And last, but not least, Jack Skellington made his debut. 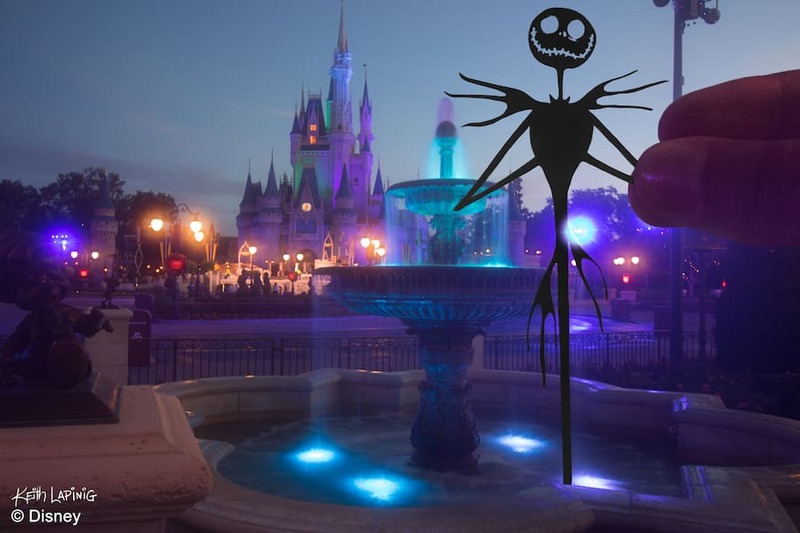 “The fountains in the hub serve as the ideal grand entrance for the Pumpkin King himself for any Halloween festivities, so I had a lot of fun putting this together when there was no sun out,” Keith said. 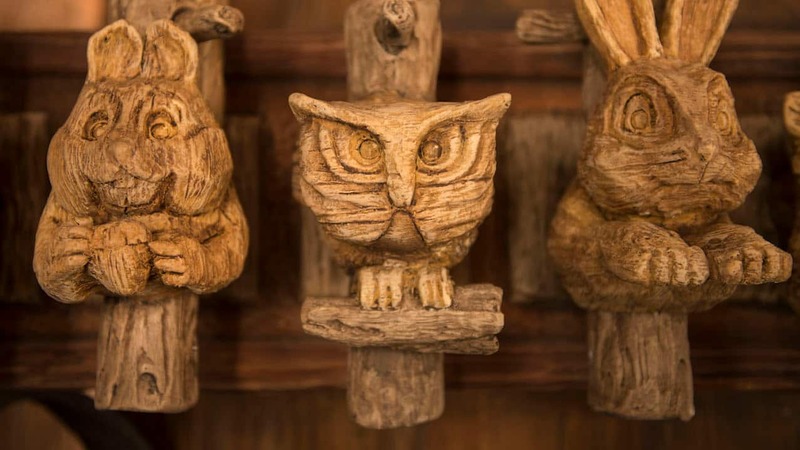 To add to my previous comment, I’d love to be able to click the smaller photos to enlarge them and see the finer detail. They’re so cool!